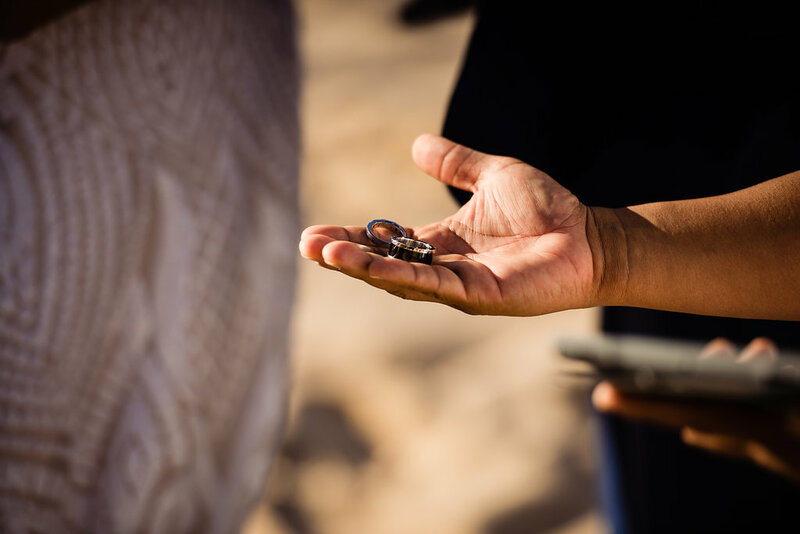 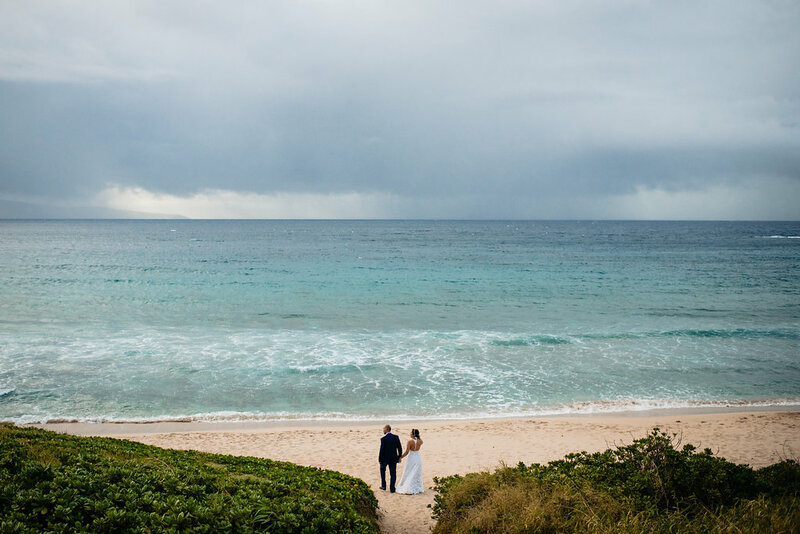 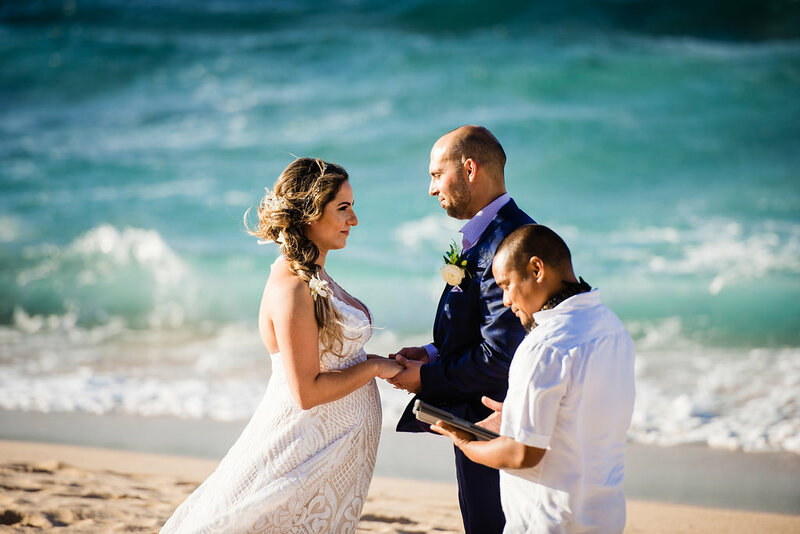 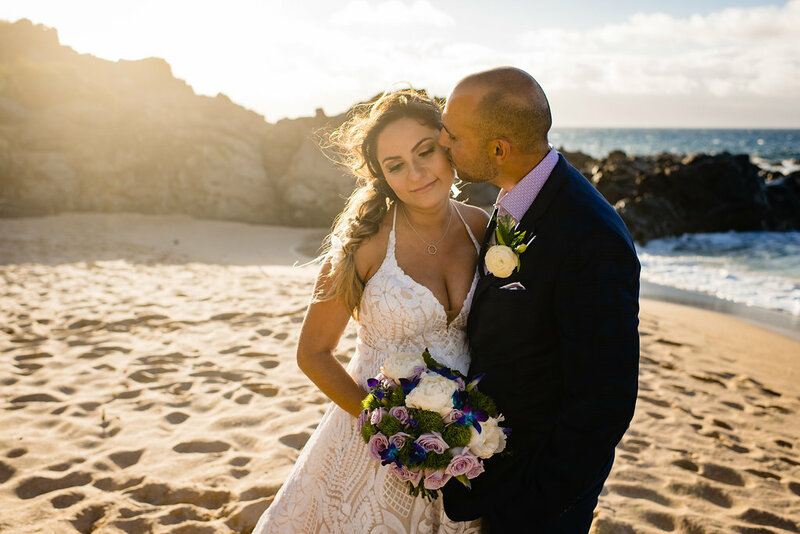 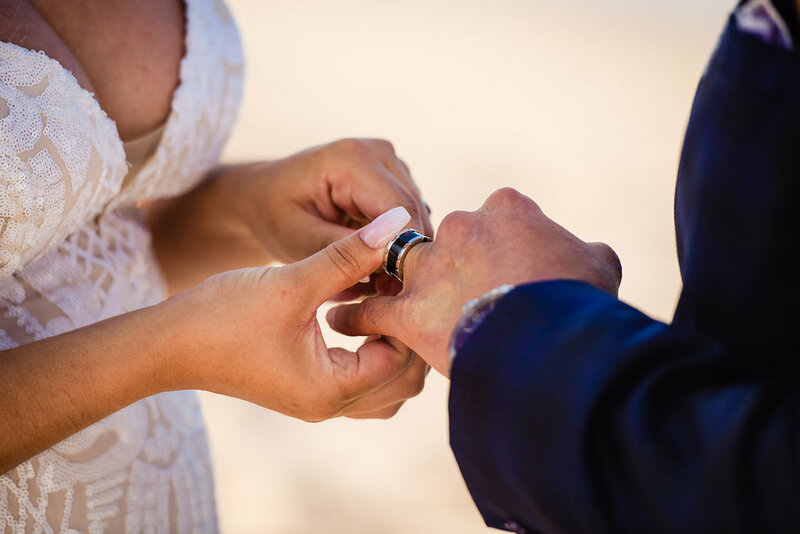 A wedding ceremony on Ironwoods Beach was the perfect recipe for Krystal and Danny's intimate wedding. 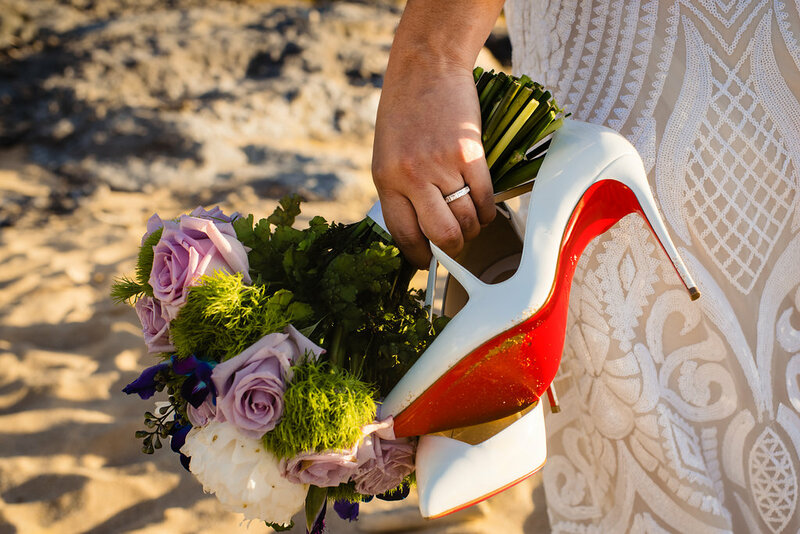 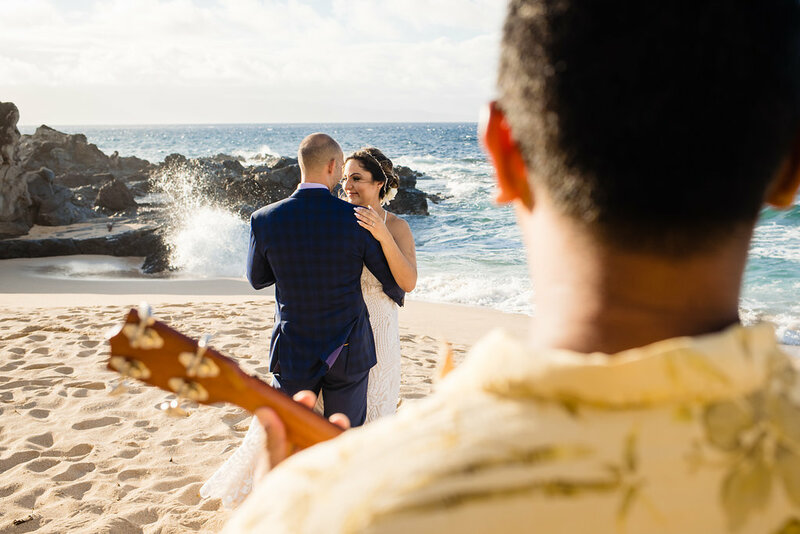 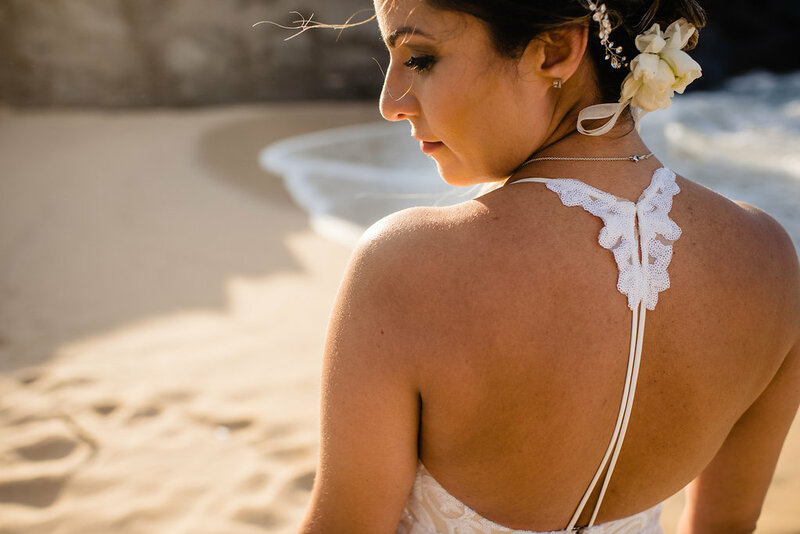 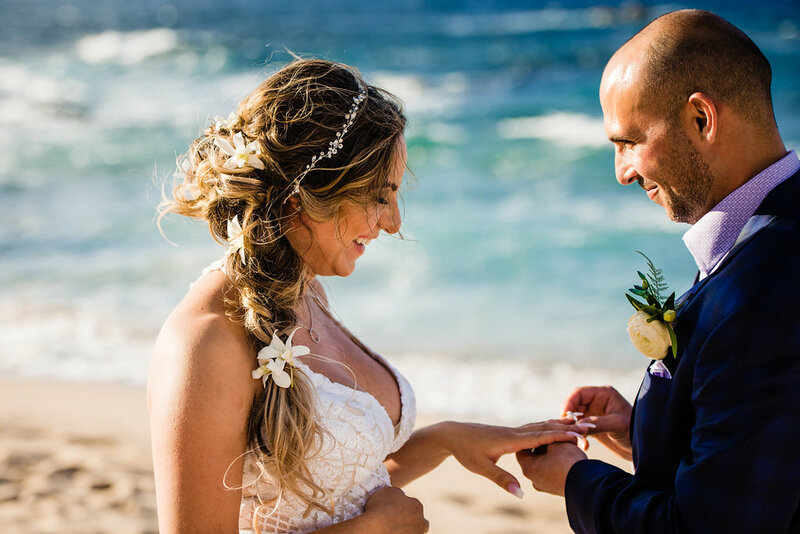 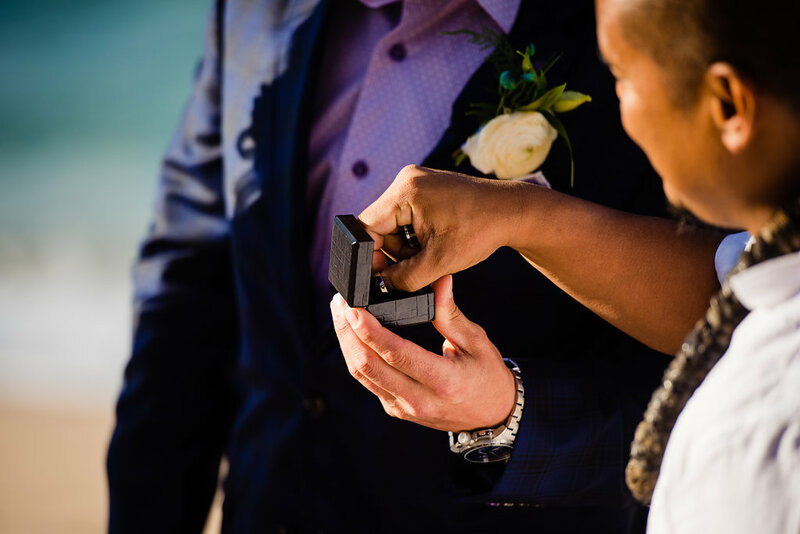 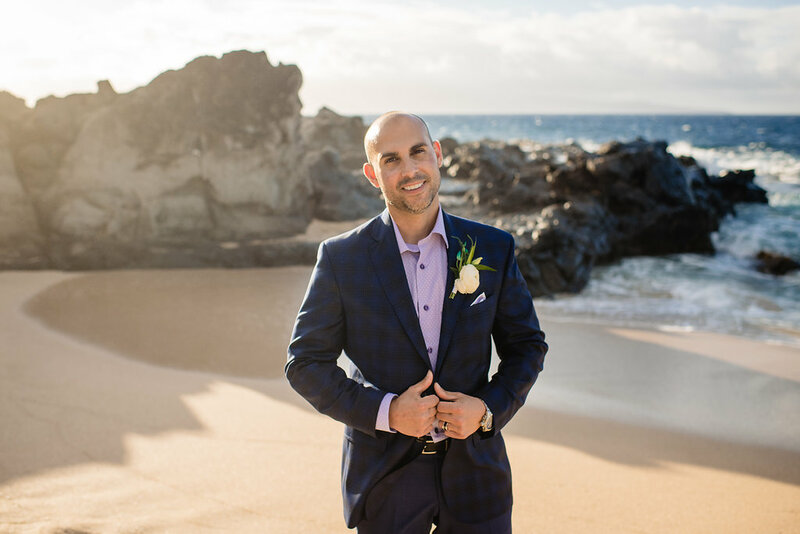 Set against the pacific ocean, all Krystal and Danny needed for their wedding was each other, an officiant, a musician and a beautiful bouquet to set the stage for the beginning of their forever. 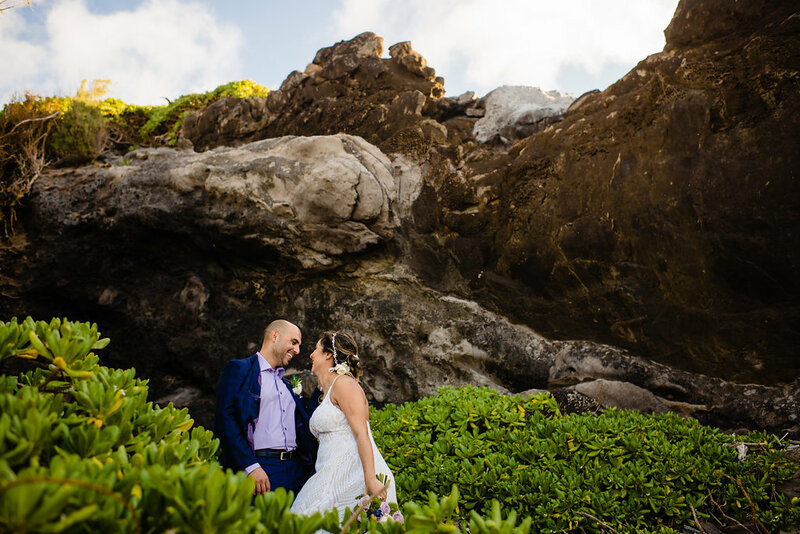 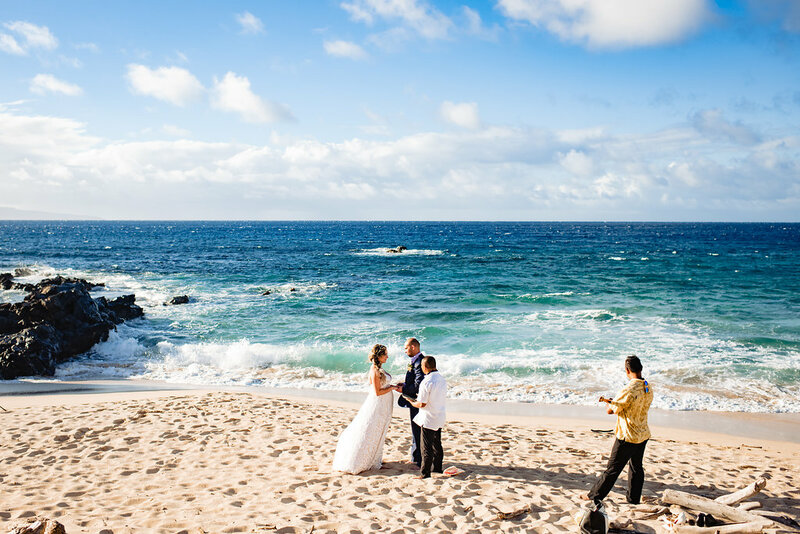 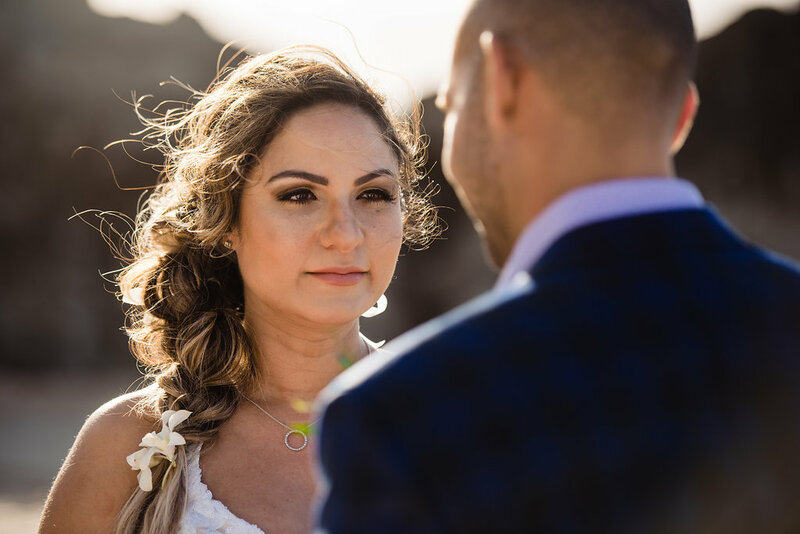 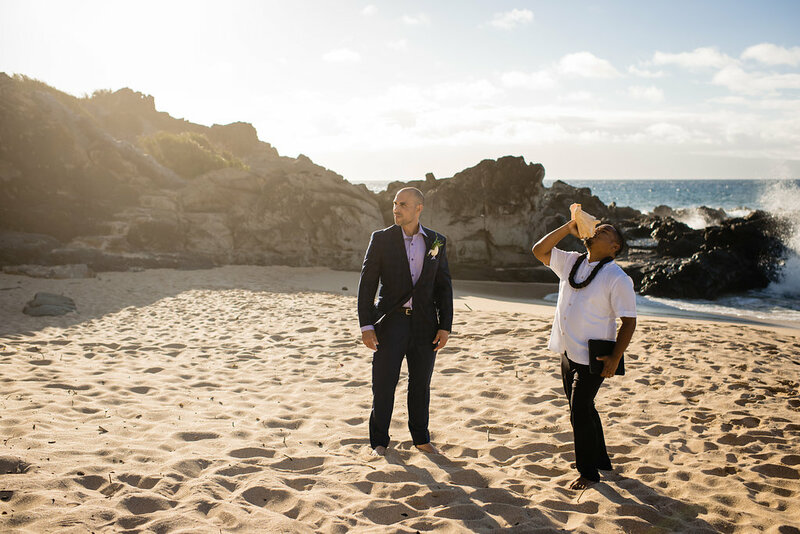 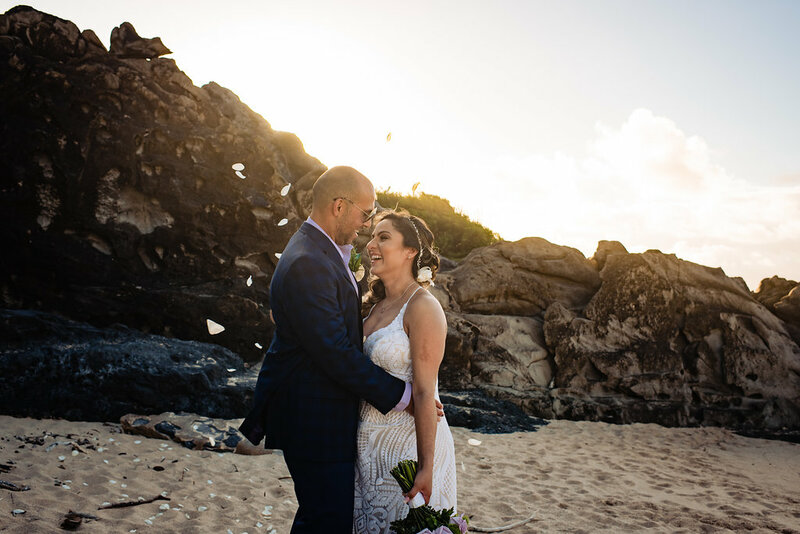 From teary moments during "I do's" to making each other laugh near lava rock, these two are a match made in Hawaiian heaven. 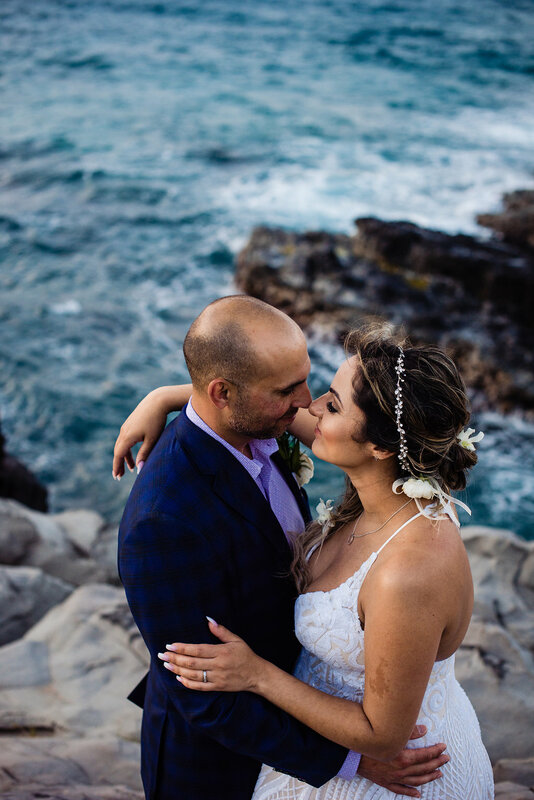 Krystal and Danny's knew they wanted their "I do's" to be shared at a destination wedding location, and near the coast. 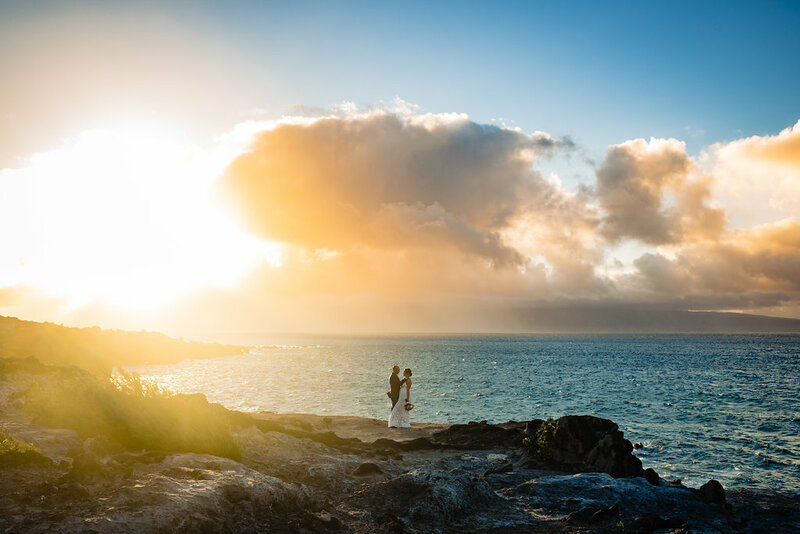 Maui was the perfect place! 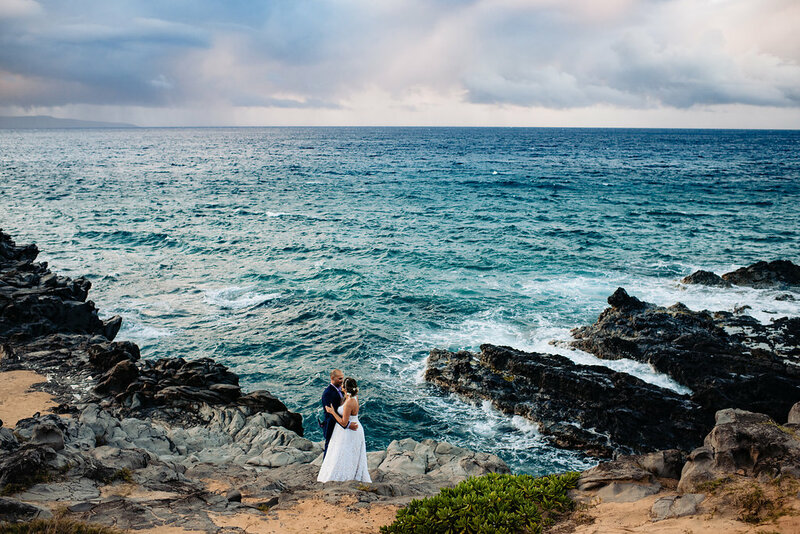 When it came to the theme, Krystal and Danny wanted only this: simplicity. 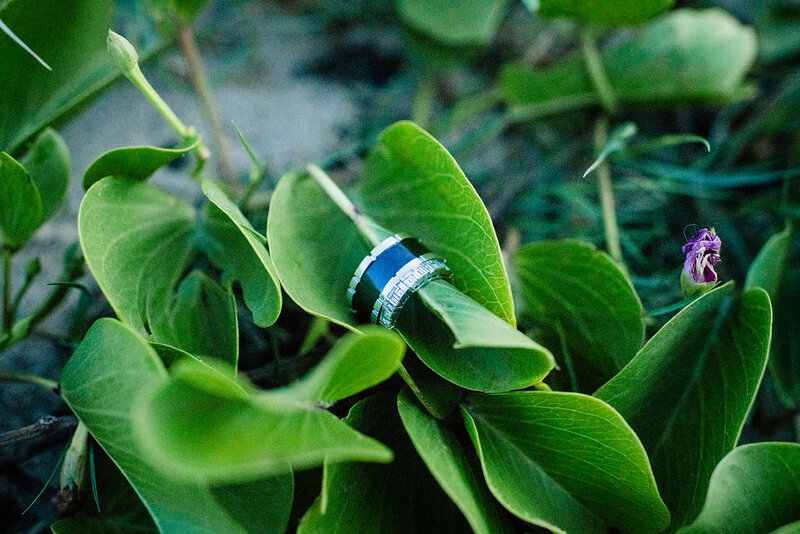 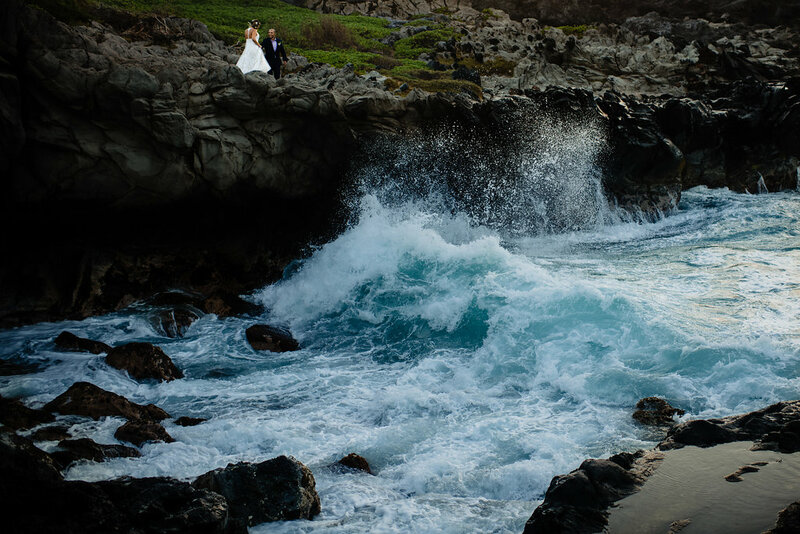 Their wedding was intimate and comfortable - allowing the lush scenery and roaring shore to take the reigns. 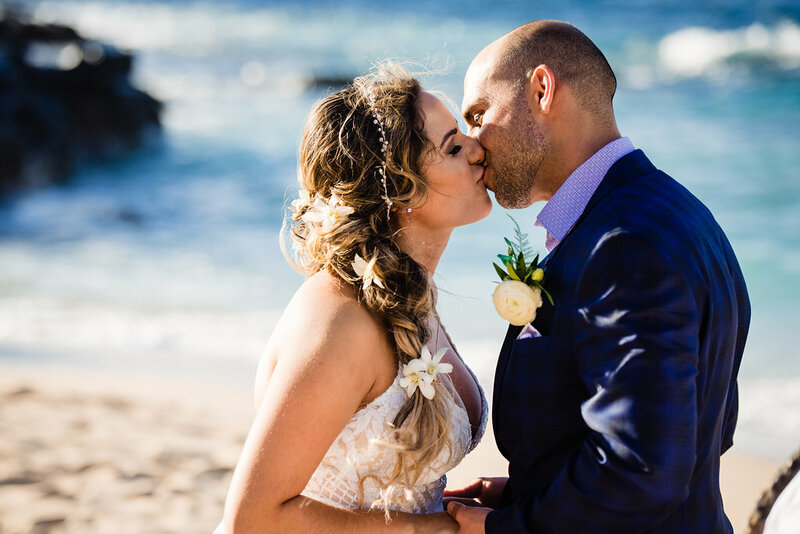 It was everything romantic, sweet, unapologetically happy and a true celebration of their love and future together. 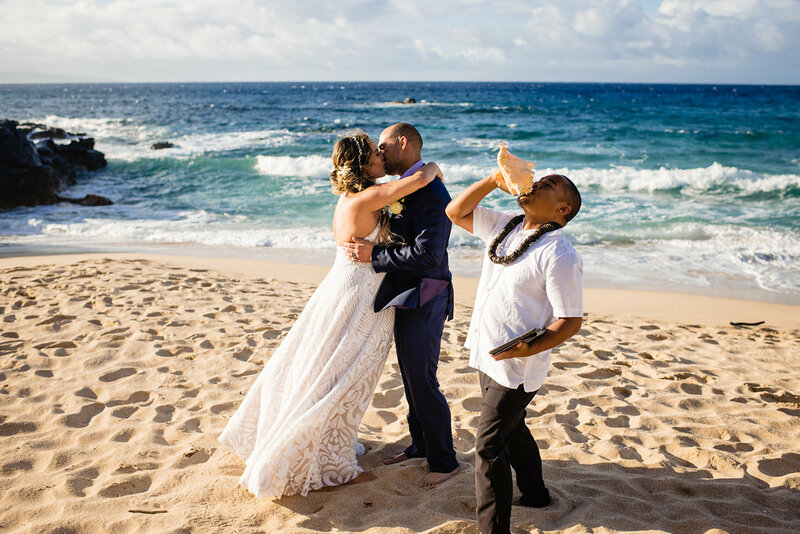 Wedding photographer Angela Nelson Photography captured every beautiful moment.